Calling all artists! Submit your "NP...It Starts with Us!" 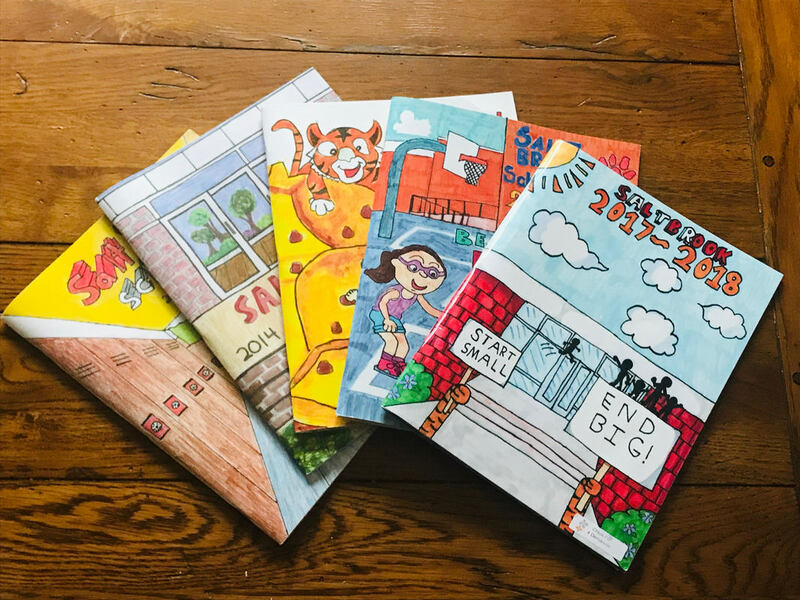 artwork for the 2018-2019 Salt Brook Yearbook Cover Contest. The 2018-2019 Yearbook front cover will feature the winner of our contest and the runner-up will appear on the back cover. All entries will be included in the yearbook. Mrs. Drexinger, Mr. Firetto, and Mrs. Hoogerhyde will be judging the submissions. Please read the instructions below and download the form to submit your artwork. The theme for this year is “NP...It Starts With Us!”, following our Character Education program for this year. Best to show school-related events or activities. Artwork must be in color. Brightly colored and vibrant artwork with colored pencils or markers is best. Include “Salt Brook School 2018-2019” somewhere on the page. It does not have to be big. Please DO NOT write your name on your artwork.